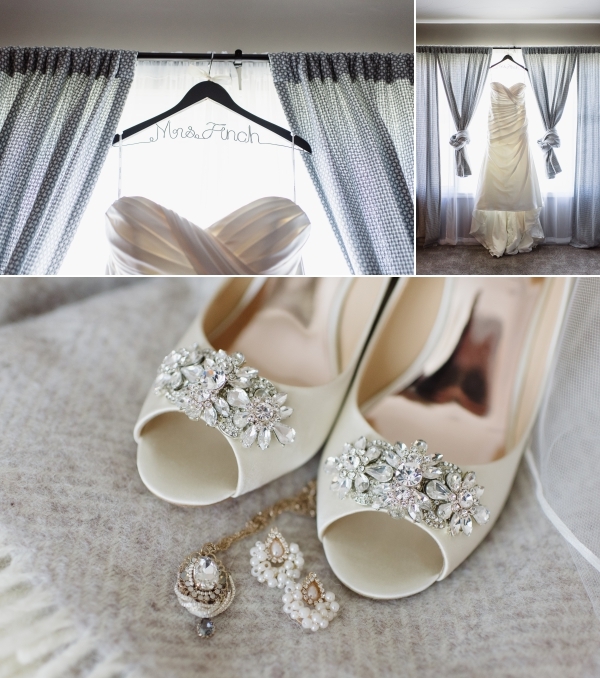 It was early March at the cusp of spring when Kelly and Adam said “I do” in the heart of Downtown Westerville, Ohio. Their beautiful ceremony took place at the Church of the Messiah. 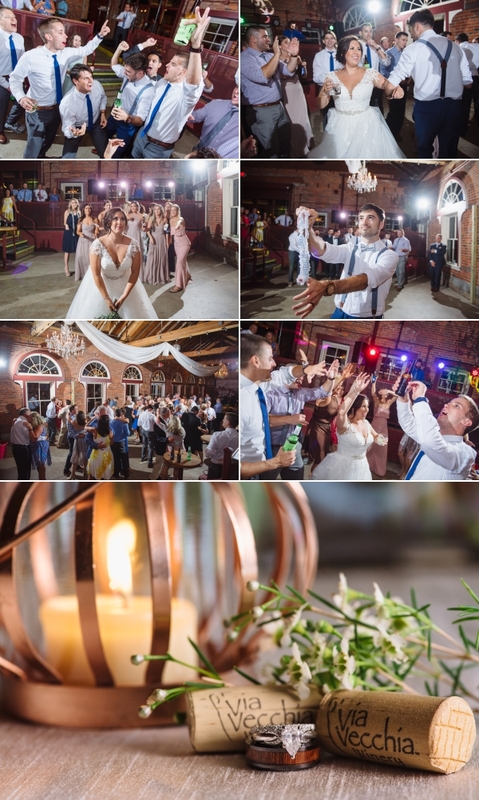 I love shooting there because the towering stained glass windows and candles that illuminate the center aisle-way are romantic and always inspire me as a photographer. I think Kelly and Adam felt the same way because they specially requested some photos with the windows as the backdrop. Kelly’s dress was just perfect for her. It was form-fitting at the top and gradually cascaded downward. She topped it off with the most beautiful lace shell. My favorite part was how she finished the look with a long necklace which you don’t see very often. It made her look both vintage and modern at the same time- that necklace brought an unexpected cool factor in my book. In March the sun sets early so we shot portraits in downtown Westerville instead of traveling around the city. I’m so glad we did too because the sun was low and warm in the sky and made for some pretty dreamy photos. It was admittedly pretty cold and Kelly and Adam were both really great sports to go along with all of our ideas. From downtown Westerville, we made our way over to Nationwide Hotel and Conference Center in Lewis Center, Ohio. The facility had just renovated their Edgewater room and Kelly and Adam’ss wedding was the first to ever be held in the new facility, and boy it didn’t disappoint. Everything was pristine, fresh and stunning. The evening light flooded through the windows and made the whole room feel romantic. The new ceiling beams added a rustic charm and the new paint and finishes offer a more modern and clean look. This new space is everything I hoped it would be as a photographer! 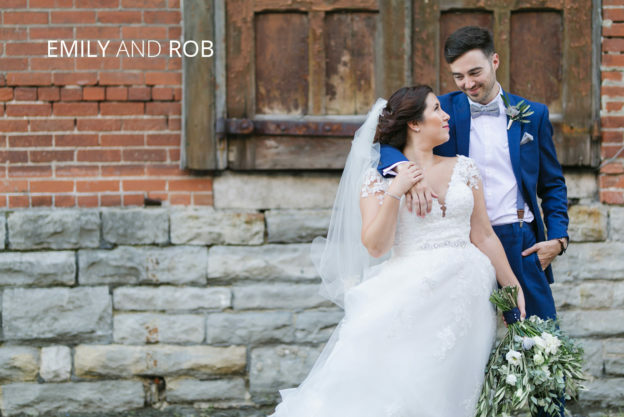 Emily and Rob’s late July wedding had it all! Perfect weather, smiling faces, stunning surroundings and so much love throughout the day. 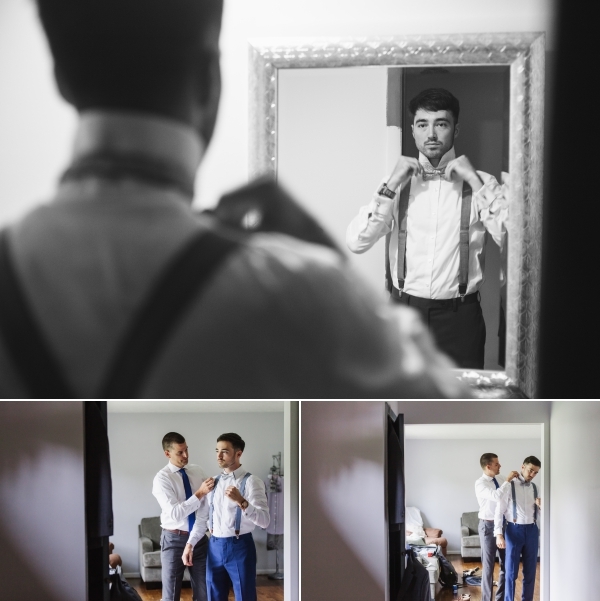 From the church to the reception venue, there were stunning surprises around every corner. Emily’s dress was just perfect for her. The A-line dress had delicate lace sleeve accents which were striking with her dark hair. The dress dropped softly into lots of alternating layers that floated away from her as she walked. Each bridesmaid wore a different cut of a soft pink or dusty rose colored flowy gown. Madison House designs provided the florals that tied the whole look together. Rob wore a blue suit, which you don’t see often but I wish more men would opt for it. It is so sophisticated and dapper. 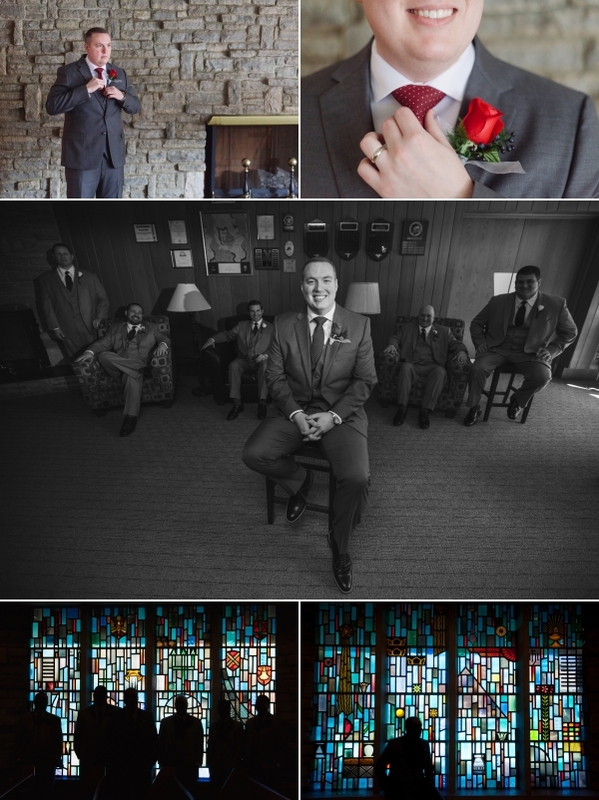 Emily and Rob were married at the Church of the Messiah in Westerville. This church is incredibly cool inside. It has soaring modern stained glass windows. They line the center aisle with lit taper candles which makes everything inside feel warm and romantic. From the church, we went to the spot that Rob asked Emily to marry him- the center of the OSU oval. Right nearby the Thompson Library made a stunning classical backdrop for some more photos. 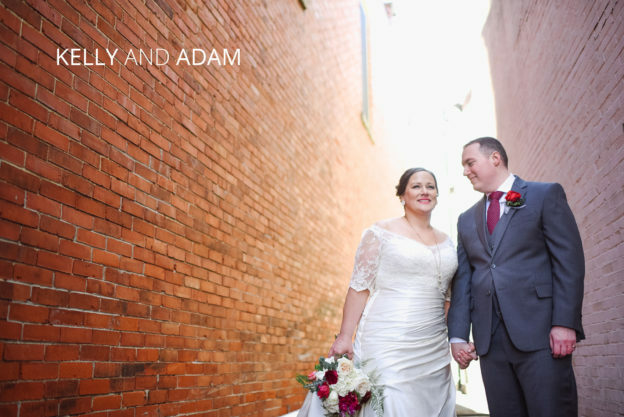 Afterward, we headed over to Via Vecchia for more romantic alley photos, one of the biggest perks of having your wedding there!